Randy Dellosa: Yahoo! : Anne Curtis’ Slapping Frenzy: The Booze Made Her Do It! Yahoo! 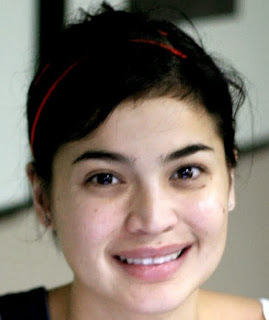 : Anne Curtis’ Slapping Frenzy: The Booze Made Her Do It! The Booze Made Her Do It! Just like the super typhoon that wreaked havoc on anything that crossed its path, Anne Curtis reportedly brewed up a storm by slapping three innocent people and verbally attacking others. Witnesses to the commotion instinctively wondered whether she was high on “something,” and indeed, she was. By her own admission, she was high on alcohol and such intoxication transformed the charming red-lipped lass into an incredible hulk of a drunk. The Euphoria Phase. In this phase, Anne’s drinking made her feel chill- that is, pleasantly relaxed, sociable, and talkative. The Excitement Phase. As Anne continued to drink, she progressively became less logical, more emotional, and more impulsive. Most likely, it was in this excitement phase of drunkenness that the scandalous slapping incident took place. The Confusion Phase. If ever Anne reached this phase, her mood would have become highly unpredictable and changeable. Her muscular balance would have gotten severely impaired, and she would have just passed out. The Coma and Death Phase. Thankfully, Anne was far from this phase. A drinker in this extreme level of intoxication would experience loss of consciousness and possible death from respiratory failure and cardiac arrest. We all know that people get drunk in their own unique ways. Commonly, people feel sleepy; some get giggly; others become weepy; and many act silly. But in Anne’s case, her drunkenness made her go ballistic! Just what is it that makes some drunk people go berserk and violent? Naturally hot-headed people. These are people who are naturally short-tempered even when sober. For them, to gulp down alcohol is like pouring gasoline on a small fire. A raging wildfire is the inevitable result! People who suppress their negative emotions. Alcohol intoxication has the effect of dissolving our defense mechanisms. With nothing to hold down or suppress the negative emotions, the drunk person just goes mega-nega and explodes with the full fury of the volatile emotions! Naturally impulsive people. These are people who live in-the-moment and who never think about the consequences of their actions. They have poor impulse control and when they drink alcohol, it gets them even more excited to engage in reckless behaviours. People with odd reactions to alcohol. Some people ingest small amounts of alcohol but the resulting behavioral reactions are extreme. They become paranoid, disoriented, psychotic, violent, or even suicidal simply because the alcohol doesn’t mix well with their body system. In Anne Curtis’ case, she did mention that she just came off a 3-day cleansing juice diet which really could have made her extra-sensitive to the intoxicating effects of alcohol. The high level of alcohol could have “short-circuited” Anne Curtis’ brain, thereby making her experience what psychiatrists call a ‘blackout.” A blackout is a period of temporary amnesia in which drunk people become unaware of what they are saying or doing, and have no memory of what happened. If there is any good that resulted from Anne Curtis’ drunken behaviour, it is the reminder to us all that alcohol is no simple and harmless beverage. The truth is that alcohol is a powerful mind-altering substance which can make us lose our self-control and bring out the beast in us. Perhaps, we should emulate Anne Curtis' resolution to "drink in moderation," or better still, not drink at all!